We're a small team based in Yeovil, Somerset with over 90 years joint experience in the industry. We're made up of apprentices, graduates and drama students. We're made up of several members of both full and part-time staff. 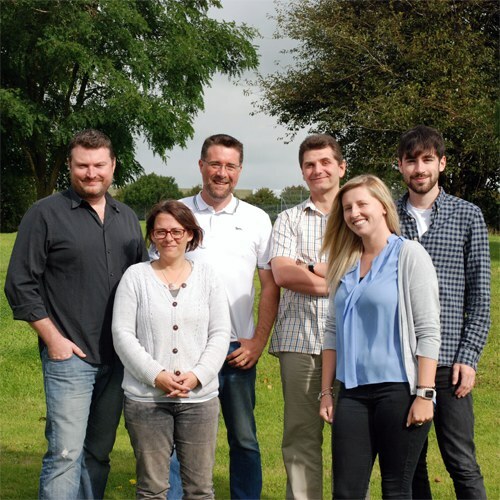 Our staff have over 90 years joint experience in the industry across different skill sets including programming, marketing and search engine optimisation. We all share a passion for delivering great websites, powerful web-based business solutions and effective online marketing. Tim started programming at the age of 12 and has worked for McDonnell Douglas, Somerset County Council and The Arcadia Group before starting out on his own in 1996. Tim built ZTS up over the years and is responsible for most areas of the buisness, chiefly - sales, systems analysis, project management, client marketing, customer liasons and business strategy. Tim enjoys films, good food and hiking. Leon is our Content Co-ordinator, he populates new sites with images and text to help describe our clients businesses. Leon also deals with domain names, hosting and a multitude of client specific jobs. Leon enjoys music, films and making chocolate cake. Steph is our digital marketing specialist, she deals with the setup, monitoring and maintenance of our clients online marketing campaigns including Google AdWords and social media. Steph enjoys music, swimming and baking. Jasmine is one of our web developers, she helps to create, coordinate and maintain our clients web applications using a variety of technologies and frameworks. Jasmine enjoys cooking, dancing and socialising. Steve, after working full time for us for many years, now runs his own consultancy in Bristol called Polynomial. Steve helps us to create powerful web based solutions for businesses including Intranets, CRM's and booking systems. Steve enjoys travel, books and films. Matthew is our lead Graphic Designer, he helps to take a clients branding and vision to transform it into clean, modern designs that then go on to become a performant, responsive websites. Matt lives in Atlanta GA and enjoys socialising, wine and philosophy. Harry started with us as an apprentice in 2005 and is now a contract programmer, he runs his own web development studio called 'Neat'. Harry specialises in producing clean, web site user interfaces for our clients. Harry enjoys music, films and rugby (watching Wales mainly). Sam is a freelance web developer who helps us to produce websites and web based solutions using the latest technologies. Sam helps to create impressive, easy to use experiences. Sam enjoys music, festivals and cider. We're always on the lookout for people to join our team, you'll need to have some experience of web technology, ideally in Rails or ASP, you'll need to understand terms such as "git", "less" and know how to merge in changes from a branch (not the plant kind). Office Closure The office is closed today (01.02.19) due to snow. Christmas Opening Hours 2018 It's that time of year again and almost time for us to leave the office for some festive fun! Christmas Opening Hours 2017 It's that time of year again and almost time for us to leave the office for some festive fun! Christmas 2016 It's that time of year again and almost time for us to leave the office for some festive fun!